The authors sought to determine psychiatry residents’ perceptions on the current method of evaluating professional role competency and the use of multi-source feedback (MSF) as an assessment tool. 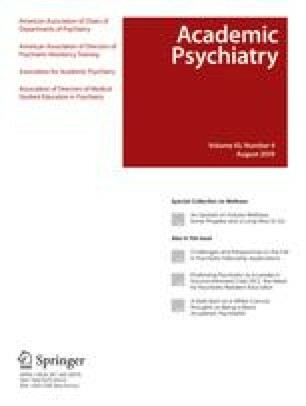 Authors disseminated a structured, anonymous survey to 128 University of Toronto psychiatry residents, evaluating the current mode of assessment of the professional role and the use of MSF. The overall response rate was 86%. Fewer than half (44%) of residents felt that their professional role is adequately evaluated, and 84% were in favor of incorporating MSF for the evaluation of this competency. Respondents believed their primary supervisor should have the largest proportional impact on the evaluation (50%), followed by allied heath staff (19%), patients (16%), co-residents (12%), self(11%), and administrative staff(9%). On the basis of this needs assessment and the Royal College recommendations, MSF may be considered a potential assessment tool for evaluating psychiatry residents in their professional role.